MERRY CHRISTMAS!!! As I debated on what to write for a Christmas Letter to Lindsey, I thought the actual Brady family update letter might be appropriate…in case you didn’t receive it in the mail yet. 🙂 I changed it a little, but the message is the same: from our house to yours, Merry Christmas! I wanted to give you a joyful update – about Casey’s college choice, Chris’s new position: you know- the “norm” of decking the halls with boughs of blessings – or is it boughs of bragging? But, it didn’t seem right, and almost seemed fake, since that would allude to perfection that 2014 did not necessarily hold. It just seemed that hiding the struggle wouldn’t give honor to the ones I lost – or those who are in the middle of strife right now. So here goes: 2014 was an up and down year. On January 2nd Chris took a new position at our company – a major adjustment in function, but not in purpose. The new role brought a massive change to close relationships – like getting on a ship to a new destination, knowing it was directed by God, but bringing tears as you lose sight of the shore. January 15th was when the call came that Terri’s mother had suffered a heart attack and stroke. We rejoice that she recovered with minimal permanent damage. Seven days later, on the opening night of Christine’s youth theatre musical another call came from Colorado, this one telling the shocking news of the loss of Terri’s younger brother Mike. Terri spent 10 days in Colorado with her parents, and Chris was able to fly out for the funeral. A few weeks later, barely out of sight, grief struck again with the short illness and passing of our dear friend and business co-founder, Jackie. Staying for that snowy funeral in Michigan clearly took precedence over our family’s trip to the Cayman Islands, and it was rightfully cancelled. April brought a trip back to Colorado to celebrate Terri’s Uncle Buck and his presentation of WWII Legion of Honor medal, as well as to be introduced to Adelyn, the first great-grandchild for Terri’s parents; Mike would have been a proud grandpa! June was triumphant as Nate was selected to play Academy level soccer, and Casey’s team took the N.C. state champ title – finishing 2nd in the region in Baton Rouge, LA. July 25th marked the 98th birthday for Terri’s grandmother in Kansas, now a great-great-grandmother of two 2014 babies! She has 5 “kids” in their 70’s!! Must be a record! Autumn brought news of Casey’s decision to play soccer for college in South Carolina next fall, paying his own way with athletic and academic scholarships. Wow. Yet, all the while, the train of time still carries us down the middle of the rails toward our destiny. Often Christmas cards come (and I have written many!) with the updates – telling the joys of the year. But this year, as you can see, had such HIGH highs and LOW lows in the parallel tracks, it seemed strange to only share one side. I am guessing that most people have had years like that. Many are on the “low” right now – not ready to even celebrate Christmas, wondering if there will ever be happiness again. My prayers go to them. I mean, really, when you look at the news of 2014, it seems odd to be celebrating anything doesn’t it? My house was not the only one who experienced pain – and by far not the worst pain compared to others I know. Many have lost loved ones, received dooming medical news, had diagnoses since last Christmas that ended life before this Christmas! 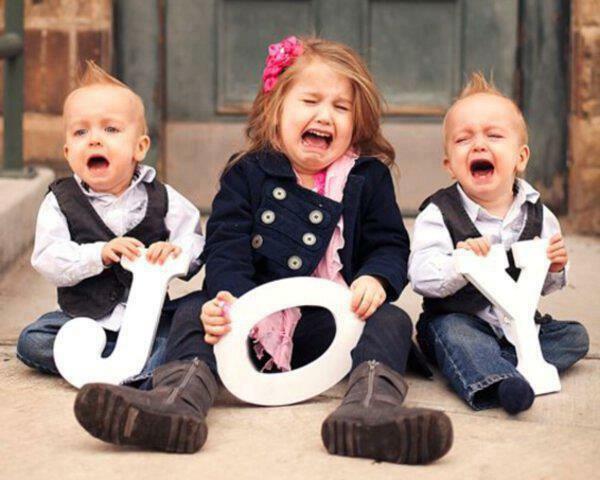 There are words on the TV that don’t necessarily scream “JOY!” : Ferguson, Isis, North Korea, Ebola. You know the list could go on and make a railroad track far worse than my own. But suffering is not a competition. The Lord knows and cares for each inch of the tracks of life that have been laid and knows and cares for how we handle each inch of that track – since everyone handles it differently. Christmas is a time of joy – when we celebrate the birth of the Christ child. Yet I recall that the promise of joy AND sorrow met in the manger that first Christmas. The promise of redemption and eternal life rested in that baby, … yet the sin He would carry away was in the forecast. While He slept beneath the famous guiding star, His future of being mocked, scourged and publicly executed by crucifixion rested in that bed of hay. The miracles making the lame walk, the deaf hear and the blind see rested in that manger…as did the weeping over the loss of a friend, the anger needed to turn over tables and the prayers so strong to cause sweat as drops of blood. I suppose it’s the moments when sorrow’s side of the track seems to be leading that make us truly recognize the value of its parallel Joy if we can see it. I recently read that the hymn, I heard the Bells on Christmas Day, was written by Longfellow after a not-so-perfect year. Already a widower due to an 1860 fire that took his wife, he found out weeks before Christmas of 1863 that his eldest son was nearly paralyzed at the hand of an enemy in the Civil War. The song’s words weren’t written as the happy song I sing today. They were penned in the agony of grief, on Christmas Day, 1863. Whether you have had a perfect year, or less-than-so, may you follow a star that leads you to the only “perfect” there is: Christ. Let us bring our gifts, our sorrows, our whole selves, because that is all He asks. May you make room in the inn of your heart in which He may reside forever. And may you know that the destiny at the end of the tracks is in His arms: the Peace that Passes Understanding. The true JOY of Christmas is knowing that the destiny at the end of the tracks is HEAVEN. The no more crying heaven…The no more darkness heaven…The no more imperfect moments, days or years heaven. But alas, I cannot waste my days on earth – I want others to know!! And hence I write Christmas Update Letters so they will know the reason for my real JOY this Christmas and always! Blessings to you and your family, Merry Christmas! Chris, Terri, Casey, Nate, Christine, and J.R.
2 Cor 4:5-6 For what we preach [should be telling in our Christmas letter] is not ourselves, but Jesus Christ as Lord… For God, who said, “Let light shine out of darkness,” made his light shine in our hearts to give us the light of the knowledge of God’s glory displayed in the face of Christ. – THAT is the best Christmas update letter there is!! This entry was posted in For the Singles, Married Life, Motherhood, Personal Growth, Rooted in Faith, Sister to Sister, Uncategorized and tagged Chris Brady, Christmas, Depression, grief, Orrin Woodward, Pain at Christmas, Sadness, suicide by Terri. Bookmark the permalink. I entirely relate to everything you said! You even quoted my absolutely favorite Christmas carol! I love that carol for its enduring message of hope in the verse you so aptly quoted. My own Christmas blog post is about things being not-so-“perfect” for our family celebrations this year (read “roll call of chaos”), and my coming to the understanding that it’s okay because the we’ve invited the presence of the Savior to be in it. Thank you for this wonderful post. I too have had an up and down year. When sitting down to write my annual Christmas letter I actually thought about skipping it this year like my mom did. You see my mom’s twin brothers and a niece all passed away this year. It was a lot for her to take so she decided to skip the letter in the cards. It took 6 tries but I finally was able to pen a letter that shared the ups and downs in a way that I thought most would understand the grief but not feel the depths of my sorrow. I wish you the merriest Christmas! Let us all take a moment and count the #1 blessing of Christ’s birth and then his walk among us to die a sinners death to give us SALVATION! Thanks for writing a letter that most of us can relate to, I think everyone has a life of peaks and valleys…The peak is celebrating the Birth of Our Lord Jesus Christ but the valley this year will be my 92 year old mom being in the hospital on Christmas , but still feeling blessed because the prognosis still looks good. Wishing You, Chris and all your loved ones a Very Blessed Christmas!! Beautiful, Terri, thank you. Merry Christmas to you and your family! Thank you Terri, I thank God That he is in control and your letter speaks all. Thank you. i had I had tears as I read your letter. Because it so parallels our own year, and these past two weeks have been so hard, nights at the hospital, losing loved ones, and even right now as we await for another of our loved ones who is being called home wither away, we are in pain, but in the midst of it all Christmas reminded me that He is still God and that “No More Tears heaven” is still available, it’s still real and that’s where “she” is and that’s where “he”is going. Thanks for posting this Terri! This is exactly what I need to read today. Praise God for giving you and Chris the courage to model “performing as if” through such a tumultuous year. May God bless ya’ll the more in 2015! Thank you for such an insightful look at the Christmas Story. You say it so eloquently. Our year also included the loss of 4 family members: my husband’s cousin, aunt, and mother, and my younger brother. I know our loss is not half as much as that of others. What stuck with me is the statements: “suffering is not a competition. … – since everyone handles it differently.” Thank you, again. Today I read a blog from Terri Brady. I enjoy reading what she writes. She has great perspective on the things she writes about. As I read her letter (even though it is her Christmas blog) I felt I wanted to share it. So, enjoy her perspective on a year that is passing. Hi Terri. I met you about 6 months ago at a seminar in Whitewater, WI. I won’t go into details here, but I think you will remember me. But that’s not the point. I’m sorry that I am posting this here, but I don’t know of any other way to connect with you. I know how much you (and I ) value continually improving yourself through education through experts in their fields. So I am posting this life changing information to you from the Association For Suicide Prevention.